Happy Friday, fellow piggy slaves! 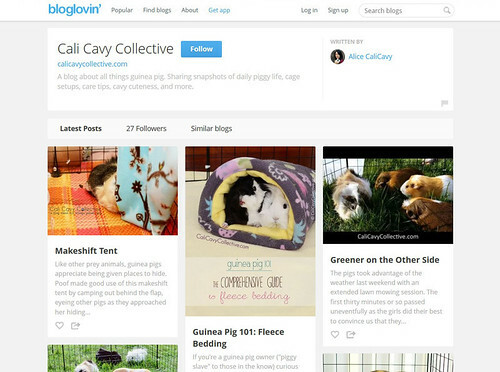 If you're new to this blog, here are a few ways to keep up with Cali Cavy Collective articles. Get all the blog updates by adding me to your circles. I've been using Feedly to keep up with the latest from my favorite blogs. A must for the dreaded morning commute. I really like Bloglovin's clean, simple design. Bonus: it's easy to share and pin.